On One Foot: Joshua Hammerman's Blog: Jen Marlowe and "The Hour of Sunlight"
Sami al Jundi collaborated with writer and friend Jen Marlowe on his autobiography, together crafting what one Israeli writer called "the most authentic account of the Palestinian refugees' painful ordeal that I have ever read." Credit: Nation Books. 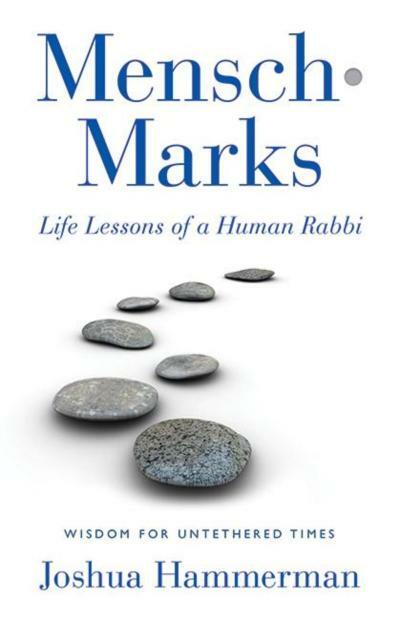 On Shabbat morning, we'll welcome Jen Marlowe, author, documentary filmmaker, playwright, human rights advocate and close friend of Cantor Mordecai, who introduced me to her last year. Jen lived and worked in Jerusalem from 2000-2004, engaging in dialogue-based conflict resolution with Palestinian and Israeli teenagers. Jen also did conflict resolution work with youth in Afghanistan, Cyprus, India, Pakistan and Bosnia-Herzegovina. It was while working with youth in conflict areas when she first picked up a video camera-at that time, in order to record messages being exchanged between Israeli and Palestinian youth. As the youth themselves pushed the video dialogue project to more complex realms, Jen began to explore the idea of how film can be used, not only as a tool of dialogue, but also as a tool of activism. In 2004, with colleagues Adam Shapiro and Aisha Bain, Jen traveled to Northern Darfur and Eastern Chad to make the award-winning documentary film Darfur Diaries: Message from Home and wrote the accompanying book Darfur Diaries: Stories of Survival. Darfur Diaries was included in the 2007 edition of the Best American Non-Required Reading, edited by Dave Eggers. Jen's second feature-length award-winning documentary is called Rebuilding Hope. Rebuilding Hope follows three Sudanese-American young men on their first homecoming trip back to Sudan, to discover whether their homes and families survived the civil war and to build a school, drill wells and bring medical supplies to their villages in Sudan. Jen's second book, called The Hour of Sunlight, is co-authored with and tells the story of Sami Al Jundi, a Palestinian man from the Old City of Jerusalem who spent ten years in Israeli prison for being involved in militant anti-occupation activities as a youth and who has spent the last two decades of his life working towards nonviolence and peaceful reconciliation between Israelis and Palestinians. We'll be hearing especially about Sami this Shabbat. Which brings us to the question, why talk about the potential for conflict resolution at all right now? With Syria and Egypt at the boiling point, with Gazan rockets and Abbas' U.N. gambit seeming to bring us further away from a two state solution than ever and with Israel's resultant E1 construction announcement only adding more fuel to the fire (and let's not forget about Iran), isn't this precisely the wrong time to bring in a speaker highlighting the human suffering on both sides of this conflict? No, it's precisely the right time. While easy political solutions are not at hand, it becomes tempting to resort to sloganeering and demonization, and we forget that there is real suffering going on among Israelis and Palestinians both. And we also forget that the worst suffering will be reserved for their children - and ours - if we use the current instability as an excuse for inaction, and if we cease to care. We at Beth El have never shied at bringing out all sides of hot button issues such as these. In some respects, Jen's message will be the perfect complement to that of our Hoffman lecturer this year, Ruth Wisse. I'm glad we are able to feature diverse views here, while we foster respectful dialogue. There are very few places around where that can happen, especially regarding the future of Israel, something that is so near and dear to us. No Jews at the Avon? In early 2011, I attended a local screening of the controversial film "Budrus," which discusses, primarily from a Palestinian viewpoint, issues surrounding the construction of Israel's Separation Barrier on the West Bank. The theater was filled with hundreds of people, but I recognized no more than a half dozen faces. The Jewish community, which packs it in at the Avon almost every night (and many Jews are proud patrons of this theater), was nowhere to be found. Check that. There were likely MANY Jews there that night, just not the ones that hang out at events sponsored by Jewish groups. One reason I went, in fact, was to be a "face" of the organized Jewish community, so that those attending would know that Israel's supporters are eager to engage in constructive dialogue and hear the concerns of all sides. This film had received lots of publicity and it shocked me that so few Jews were there. But it didn't surprise me. We've become so insular, both fearful of being labeled anti-Israel by other Jews and fearful of having to defend Israel in front of hostile audiences. During the Q and A after the movie's showing, I made a point of standing, identifying myself and, respectfully, pointing out a few of the film's inaccuracies. When I hear from our college students, including my own kids, I know that they are called upon to do things like this often. So I was proud to stand up for Israel where so few else would. But I also watched the film attentively and it sensitized me to the human tragedy of the continued quagmire of non-resolution, from the Palestinian standpoint. Sure, their leaders have blown it - and sure Israel's made generous offers - and sure, who knows if the time is now right for another round of talks (not that anyone is rushing to them). But all politics aside, we've got to understand the human dimension of this tragedy, just as we need to understand the human side to know what's really going on now in Egypt and Syria. It's too bad there were virtually no Jews at the Avon that night. I hope to see lots here this Shabbat morning.